Samsung to buy Harman International for $8bn | What Hi-Fi? The South Korean electronics giant has agreed a takeover of US audio company Harman for $112 per share in cash, valuing it at $8bn. It may not be the deal of the decade, but it's still mighty big. Samsung, which has recently been battling the reputational damage caused by its exploding Galaxy Note 7 smartphones, has announced this morning that it is taking over US audio giant Harman International. Harman, which owns brands including Harman Kardon, AKG, JBL, Mark Levinson, Revel, Infinity and Lexicon, also has a strong presence in the automotive audio market, providing in-car systems for the likes of BMW, Lexus and Tesla. Harman also recently bought Bang & Olufsen's in-car division for €145m. As part of the B&O deal, Harman teamed up with Ford to offer B&O Play sound systems in Ford vehicles from 2017. In a statement issued this morning, Samsung says: "The transaction will immediately give Samsung a presence in the large and rapidly growing market for connected technologies, particularly automotive electronics, which has been a strategic priority for Samsung and is expected to grow to $100bn by 2025. 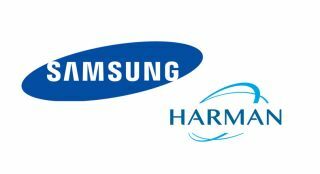 "In addition, the combination of Harman’s brands and audio capabilities and Samsung’s expertise in consumer electronics will deliver enhanced customer benefits and elevate user experiences across Samsung’s complete portfolio of consumer and professional products and systems." “Harman perfectly complements Samsung in terms of technologies, products and solutions, and joining forces is a natural extension of the automotive strategy we have been pursuing for some time,” says Oh-Hyun Kwon, vice-chairman and CEO of Samsung Electronics. “The vehicle of tomorrow will be transformed by smart technology and connectivity in the same way that simple feature phones have become sophisticated smart devices over the past decade,” adds Young Sohn, president and chief strategy officer of Samsung Electronics. Earlier this month Samsung denied reports that it was planning a takeover of Focal, the French speaker company that owns Naim Audio (which provides in-car audio systems for Bentley).